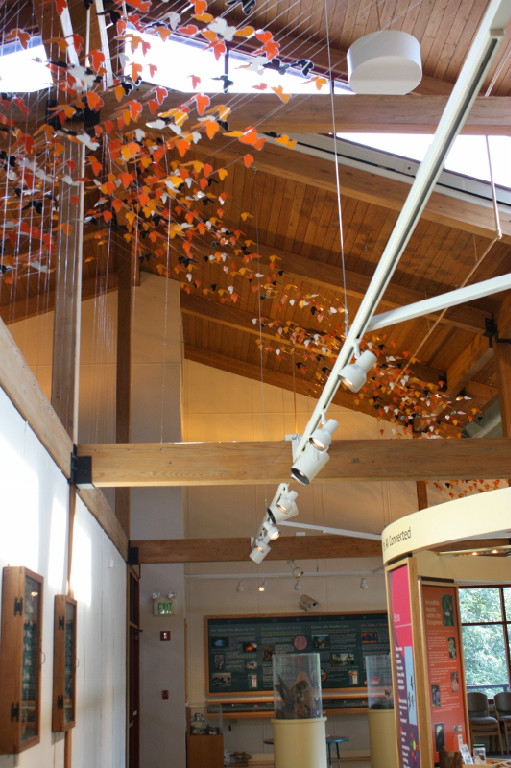 Schrader Environmental Education Center | Wheeling, WV. 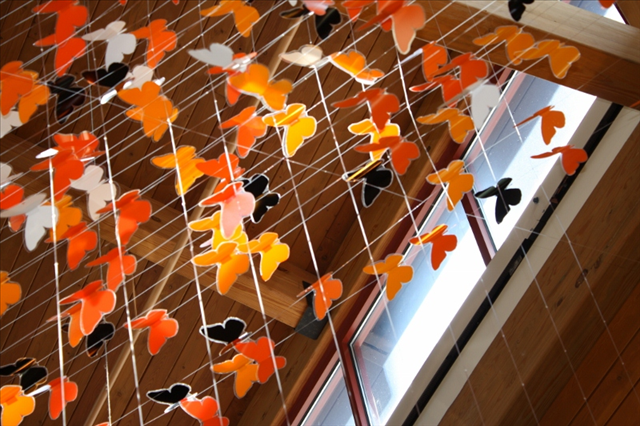 Suspended sculptural installation of 2000 colorful butterflies representing the migration of the Monarch through West Virginia. 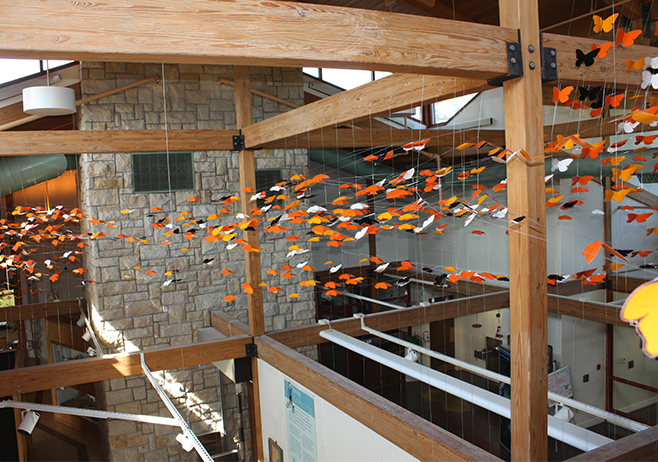 Commissioned by the Schrader Environmental Education Center, Wheeling, WV. See related article in Memberworks here.